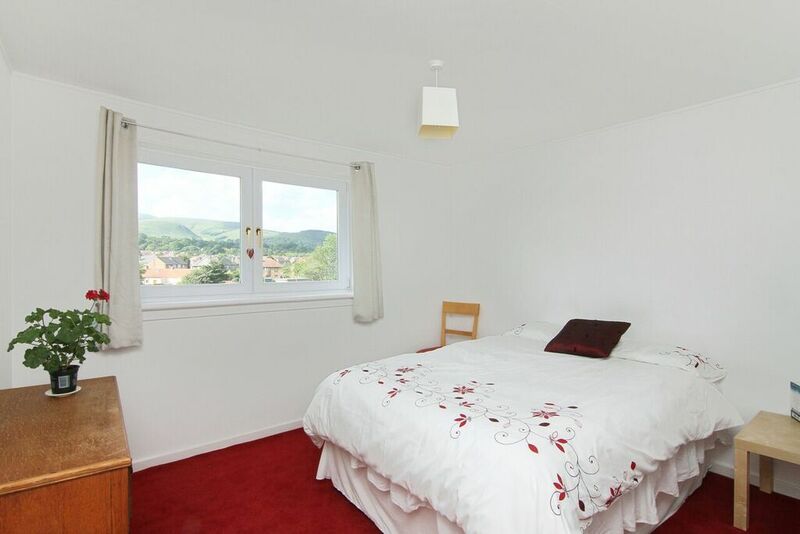 The accommodation on offer comprises: Vestibule entrance with storage cupboard; welcoming hallway with further walk in storage cupboard; spacious and bright lounge with the focal point of the room being stunning views of the Pentland Hills, further storage cupboard and door giving access to the kitchen. 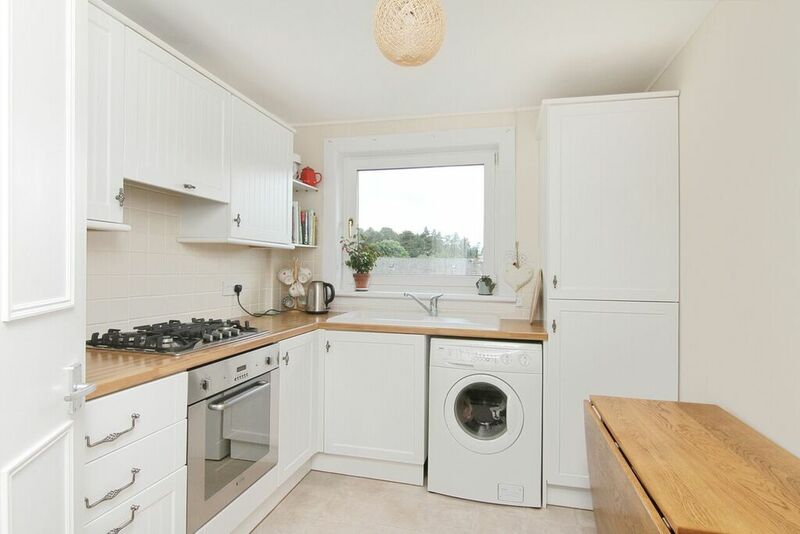 This cottage style kitchen is set to the rear of the living room and features a good range of base and wall units with complementary beech effect worktop, deep belfast sink and space for breakfasting table. 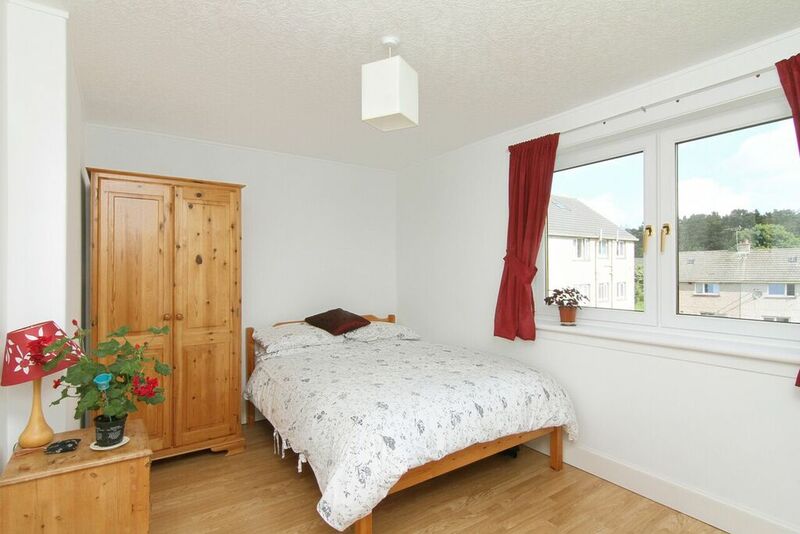 Both the bedrooms are of excellent proportions and set to both aspects and give ample space for freestanding furniture. 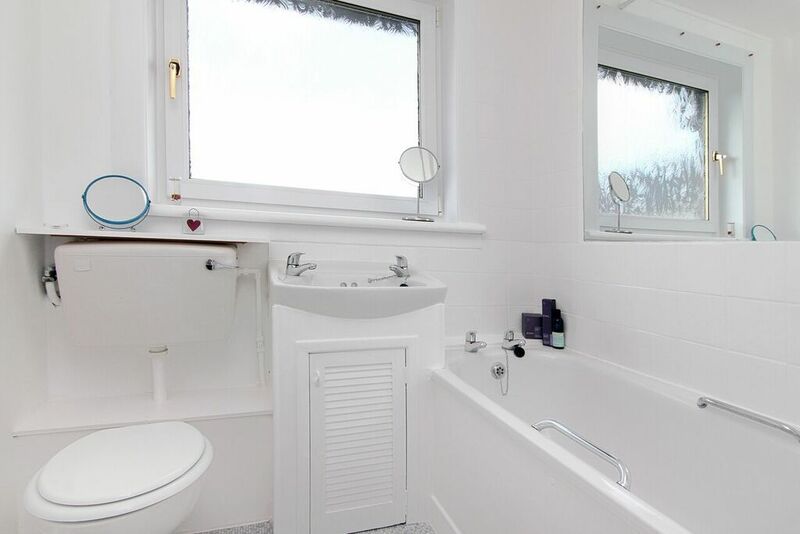 The bathroom is set to the rear with natural light from the frosted double glazed window with three piece suite comprising wc, wash hand basin with cupboard below and bath with overhead Grohe shower. 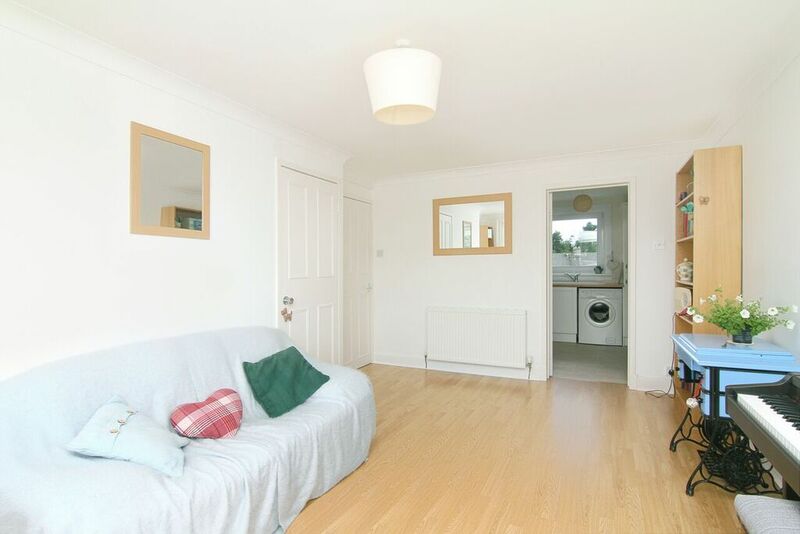 There is a large store cupboard associated with the property and communal gardens at the rear which are well maintained. 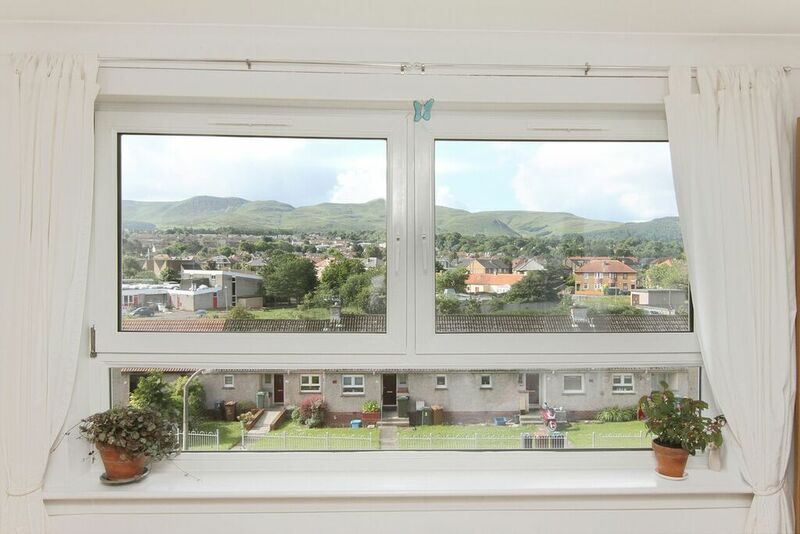 Early viewing is highly recommended on the beautifully presented two bedroom top floor flat with stunning open views to the Pentland Hills. 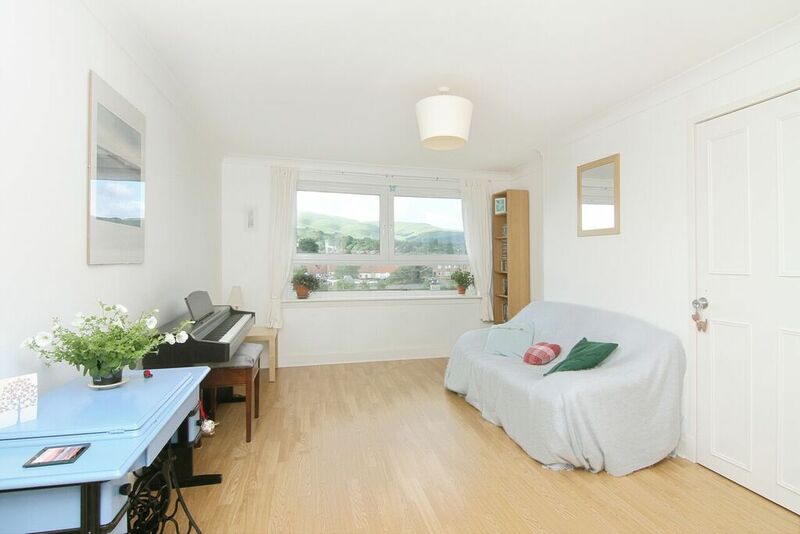 As well as benefiting from generous room sizes the property also has excellent storage facilities, gas central heating and double glazing and having recently been redecorated throughout in neutral tones, the flat is in truly walk-in condition. 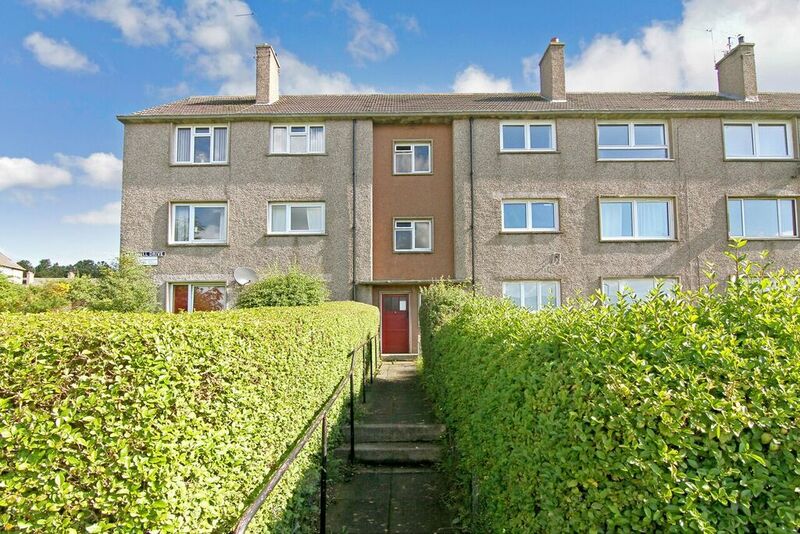 There is a well maintained stairwell and communal garden to the rear. 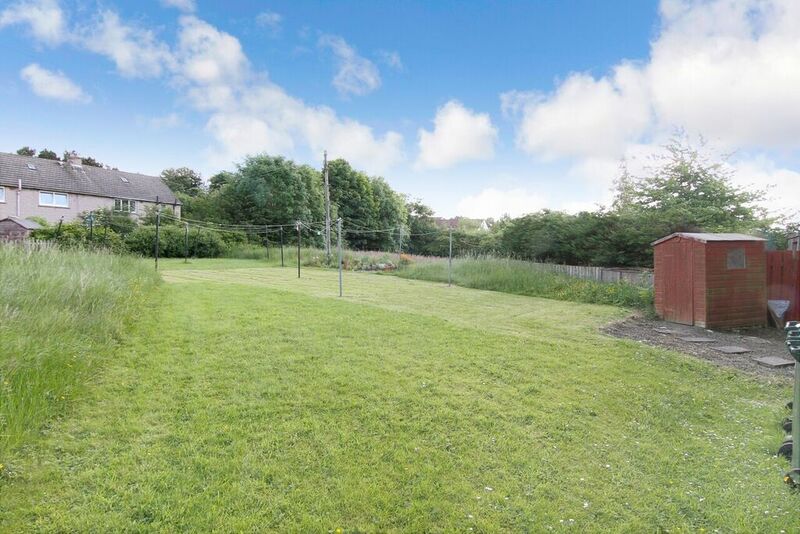 Located in the Colinton Mains district of Edinburgh which is situated on the southern outskirts of the City. Schooling is well catered for in the area with both Local Authority and Private schools within easy reach, as well as Napier University. 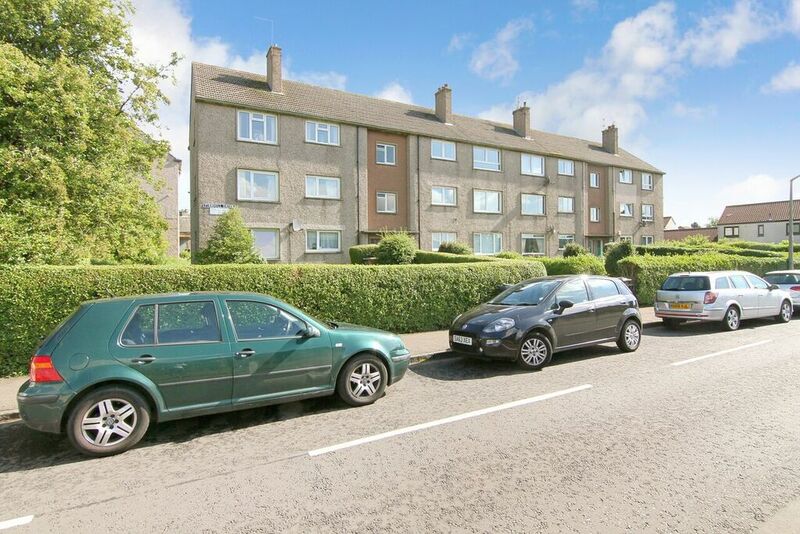 It is a popular residential area with many excellent amenities; very close to hand are a large Tesco supermarket and a Morrison’s supermarket at Hunter’s Tryst. 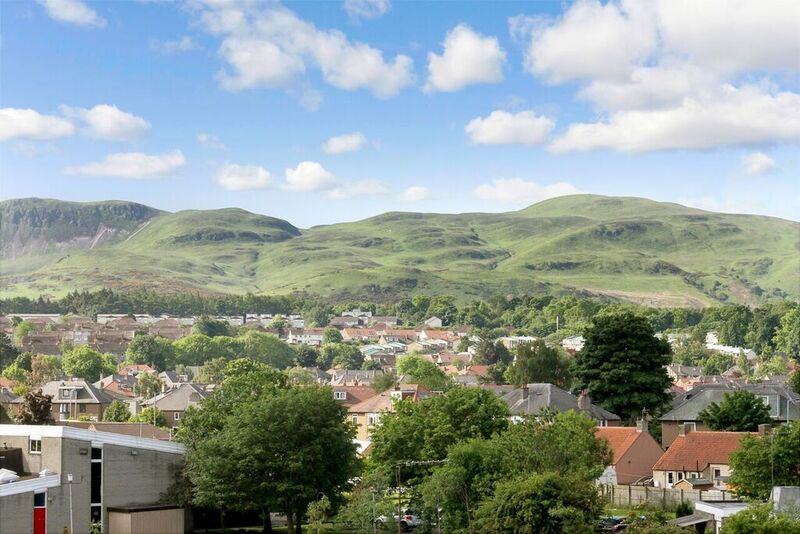 For leisure pursuits Colinton Mains Park has public walkways and there are the Pentland, Braids and Blackford Hills for enjoyable walks. Regular and frequent bus services run from the area to the City Centre and many suburbs. To the south, a short drive takes you to the Edinburgh City Bypass with links to the motorway networks and Edinburgh Airport.